Our technology is based on the mastery of integrative lentiviral vectors and LentiFlash® technology, providing a broad platform developing gene therapies for a wide range of diseases, including gene restoration or silencing approaches. Current lentiviral vectors, which deliver DNA integrated into the genome and result in stable expression, are a leading delivery method for treatment of certain genetic diseases and CAR-T cancer immunotherapy, which require long-term gene expression. However some applications are not well suited to genome-integrating approaches—e.g., gene editing, next generation immunotherapy, due to potential toxicity. The delivery of nuclease[s] or antigens using DNA tools leads to cell toxicity due to high and persistent expression of nucleases/proteins. Moreover, the permanent genetic modification remains a focus of significant regulatory oversight since it can induce insertional mutagenes is resulting from random integration of vector DNA into the host DNA when using DNA delivery. To date the development of safe approaches that transiently express an RNA of interest in primary cells have been a challenge. Pascale Bouillé, PhD, CEO of Flash Therapeutics. LentiFlash® technology is a new chimeric system combining the respective properties of a bacteriophage and a lentiviral particle. The resulting particle combines the best entry efficiency into cells both in vitro and in vivo and the safest genetic material delivery, namely RNA. Integrative lentiviral vectors, RNA is reverse-transcribed into double-stranded DNA once delivered in target cells cytoplasm. Viral DNA is then imported in the cell nucleus and integrated into genomic DNA leading to a stable expression. By contrast, LentiFlash® RNA is delivered directly into the cytoplasm and is available either for translation or nuclear import without reverse transcription leading to a transient expression. 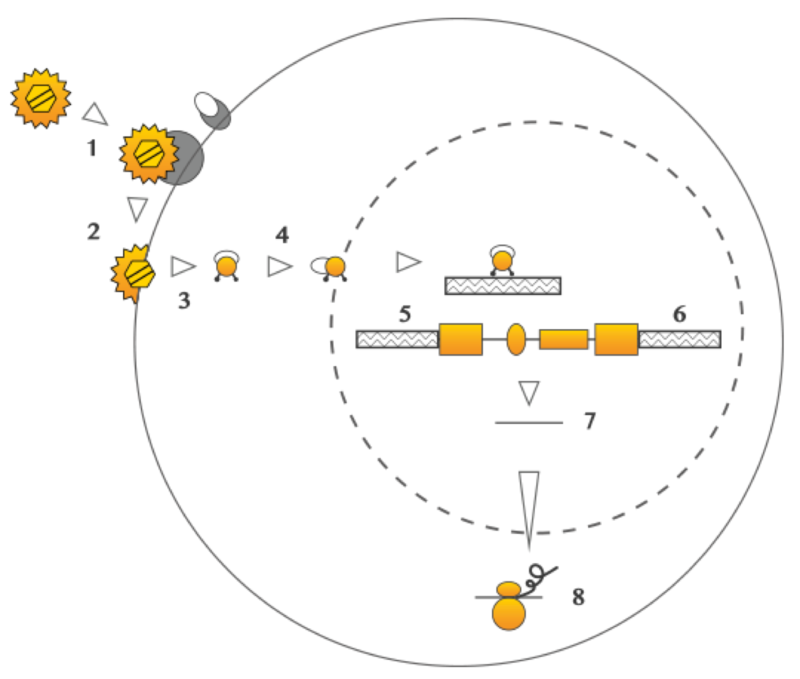 The resulting particles exhibit the same structure but contain more than 6 RNA copies versus 2 for classical lentiviral vectors. Furthermore, these new particles do not contain the required elements to perform reverse transcriptase or integration. The RNA will be directly translated into proteins once delivered into the cell cytoplasm. RNAs are rapidly bioavailable, leading to high and short-term expression of the transferred messenger. Flash Therapeutics is a biotech company set up in 2005 which has first developed a state-of-the-art technology for lentiviral vectors production. Vectalys has initially built its portfolio of patents on the production process and the resulting vector quality. The first two patents families are then respectively focused on the composition of the lentiviral batch and the resulting consequences on the target cells. Flash Therapeutics has then focused on the development of non-integrative delivery methods based on its lentiviral platform. 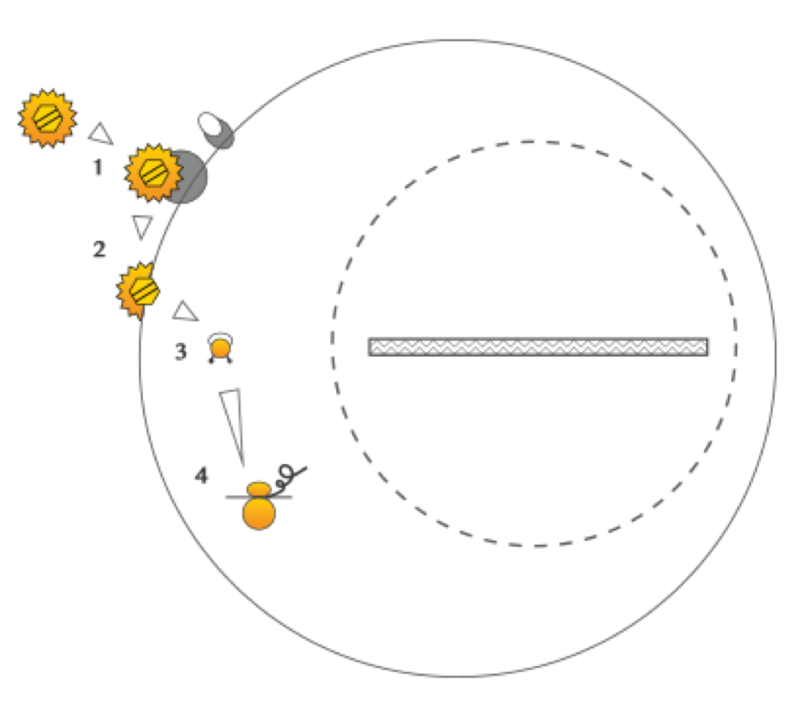 A third patent family was filed in 2015 to protect this new generation of bacteriophage-driven RNA packaging system using Coat-retrovirus chimeras. Flash Therapeutics has sub-licensed in 2016 its new LentiFlash® technology and rights to a clinical-stage biotechnology company, FlashCell, for a wide range of therapeutic applications including immunotherapy and gene editing approaches. In 2017, FlashCell carried out research programs to complete the intellectual portfolio and identify its own clinical programs. Two additional patents families have been filed in gene-editing and immunotherapy fields in 2016. If you are interested in our LentiFlash® technology and would like to obtain a sub-license, please contact us. We are constantly looking for new partners for the development of our innovative technology in the gene transfer market. Lentiviral vectors or LentiFlash particles ?